10th house and 10th house lords. 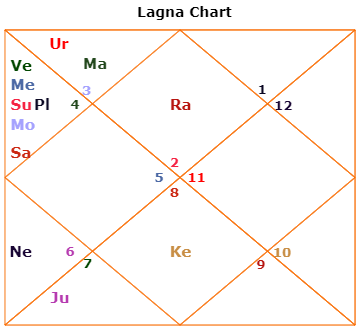 Chart of Independent India - As we can see, the chart of Independent India is of Taurus Ascendant with Rahu in 1st house, Mars in 2nd house/Gemini, Sun-Mercury-Venus-Moon-Saturn in 3rd house/Cancer, Jupiter in 6th house/Libra, Ketu in 7th house/Scorpio. I originally posted on Facebook that as India has Rahu in 1st house and 5 planets in 3rd house, Govt must support Entrepreneurs, Business People and Creative People through its policies so that whole country can progress faster. Job oriented approach or mindset may not help India as a country. 10th house and 10th house lords - But then my eyes happened to fall somewhere else. If it is India's chart and 10th house is the house of Govt then we can see Indian Govt from 10th house of this chart. We have Aquarius sign there with Saturn and Rahu as its lords. Saturn is in 3rd house/Cancer in enemy sign and with enemies like Sun & Moon. Rahu is in 1st house/Taurus where many consider it as exalted. Moon-Rahu dasha till Aug, 2018. Then Moon-Jupiter dasha till Dec, 2019. I don't think I need to tell why 2019 is important year in India? So, Moon dasha is keeping 3rd house and all planets there active as Moon rules 3rd house with Cancer sign. Jupiter AD keeps 8th house of changes active as it rules 8th house with Sagittarius sign. As Jupiter sits in 6th house/Libra of Daily Routine Life, it shows that some change can come up in daily routine living of India/Indians during Jupiter AD. Now, 3rd house is also 8th from 8th house, hence bhavat bhavam of 8th house, i.e. another house to look for changes. So, Moon-Jupiter dasha is activating both the houses which can bring a major change in country during Jupiter AD. Now, it is turn of transits. Saturn - The 10th house lord Saturn will continue to transit in 8th house/Sagittarius till Jan, 2020. Rahu-Ketu - Another 10th house lord Rahu will continue to transit in 3rd house/Cancer till March, 2019. Ketu will continue to transit in 9th house/Capricorn till March, 2019 which as I said many a times is giving a tendency to disobey the government or people in authority. Jupiter - Jupiter will be in Scorpio, a sign of major changes, from Oct, 2018 to Nov, 2019. Sun - Sun represents Govt and from Oct, 2018 to March, 2019, every transit of Sun is troublesome. Oct-Nov, Sun will be debilitated in Libra. Nov-Dec, Sun will be in Scorpio a sign of ups/downs. Dec-Jan, Sun will join its great enemy Saturn in 8th house/Sagittarius of major changes. Jan-Feb, Sun will join Ketu in enemy sign of Capricorn which is also eclipse season. Feb-Mar, Sun will be in another enemy sign Aquarius. So overall, all major transits are indicating towards a major change in the country or with Govt. 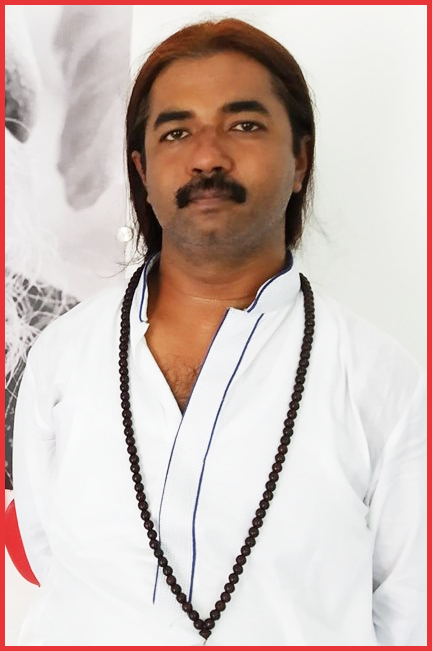 Major Concern - My main concern is that 10th house lord Saturn is transiting through 8th house of major changes, 8th house lord Jupiter will be transiting through Scorpio a sign of major changes and last but not the least, Rahu from Cancer aspects Jupiter in Scorpio to expand those changes. So as I see, we can go through a major change, unexpected turn-around at Govt level between Oct,2018 to April, 2019. Not to forget that after March, 2019, Ketu joins Saturn in Sagittarius in 8th house. Again, it is not a good time to be in Govt or in Authority. Conclusion - Now, as so much energy is focused in 8th house and Scorpio, which both represent secrecy, it can be anyone's guess as to what can be that event of major change in Govt or Governance. It can be anything from major changes in candidates, election dates, some new rules imposed on people, any major terrorist attack which mounts pressure on Govt or I won't be surprised even if we see an "Emergency-Like" situation. Overall, we are entering a 12 months phase which can be highly transformative for India and Indians. Needless to say that this transit based analysis can be applied as is for any Taurus ascendant or Taurus Moon sign person. Also, wherever Taurus falls in your chart, that house can see a major change during 2019. If their dashas are also supporting changes then they can also expect some major change in their lives. This is very good one Sir. The General Elections are around the time and government is doing its best to come back to power in 2019. The opposition is also doing their best to come to power as coalition. Let us wait and see how its gets into shape.